Cook meat with salt and turmeric powder. In a pan, add 2 tsp of oil. Add ginger, garlic, green chilies and onions. When onion turns brown, add meat and sauté well. Mix maida with water and salt and knead the dough like poori dough. Make small balls and fill the meat mixture in it and cover it with dough on edges. Cover well. Mix egg, sugar and cardamom powder in a bowl. Whisk it well. Dip the balls in the egg mixture using a spoon and cover both sides with egg mixture. Fry it till it becomes crispy on both sides. 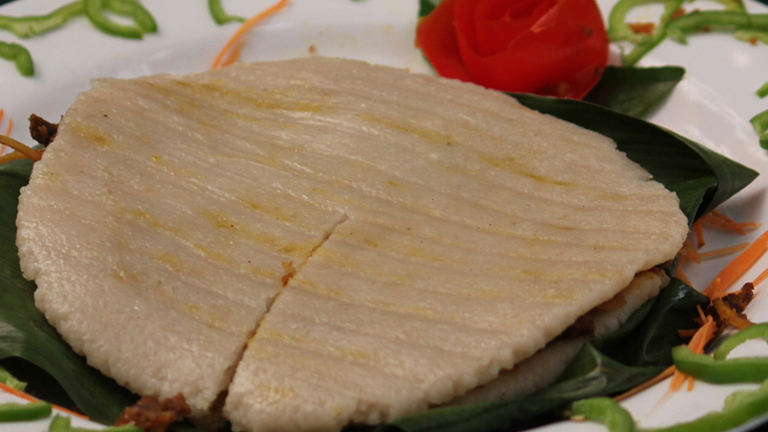 Tasty meat pathiri is ready. Tomato sauce is a good side dish for it. Same method can be followed for fish in place of meat.